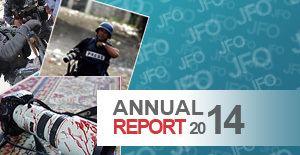 Iraq's broken press promises, another year added! Less than two years after Haider al-Abadi lifted bans on media outlets, press freedom appears to be in decline again. When Haider al-Abadi took over as prime minister of Iraq in 2014, he lifted bans on media outlets that had been closed down under the former administration. The move was seen as an attempt to heal the rift between a nation that had been divided for too long. Less than two years later, press freedom appears to be in decline once again. Iraq's Communications and Media Commission (CMC) appears to be going back on its word as satire shows, international news outlets and online news websites are being systematically shut down. Critics say silencing the media is the government's way of dodging tough questions about political turmoil and the threat of the Islamic State of Iraq and the Levant (ISIL) group - an ever-growing threat in Iraq that continues to step up its attacks in the capital. 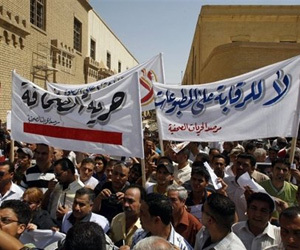 JFO, other International press freedom advocacy groups and local reporters alike see the breakdown in media freedom as a means to "impose a single voice" in reporting on Iraq. The question that arises, however, is whether this is for the protection of the Iraqi people or the Abadi government. 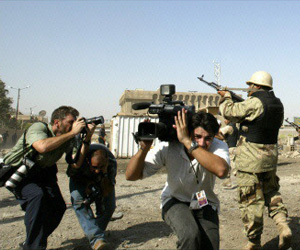 Since the invasion in 2003, Iraq has been one on the top list of deadliest countries in the world for journalists. 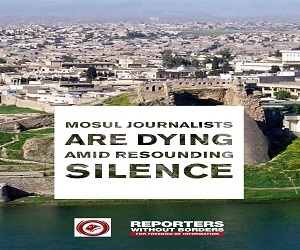 According to JFO records, at least 299 media workers have lost their lives since the fighting began, and Press Freedom day on May 3 was marred by the death of dozens of brilliant journalists as of Ammar al-Shahbander. The country remains one of the most dangerous places for journalists to work from, we are not proud to say so but conflict is not the only reason. Talk about perilous assignments for journalists these days and the first countries that come to mind are places like Syria, Ukraine or Somalia. However in many killing cases and individual targeting, those threats did not come from the ISIL side of the story - but from supporters of the government. As for the foreigners’ journalists to be identified by a reporter on a local TV channel - reason enough in Iraq to pack your bags and head to the airport. But leaving Iraq is not an option for everybody - and countless local journalists are caught between various factions competing for power. 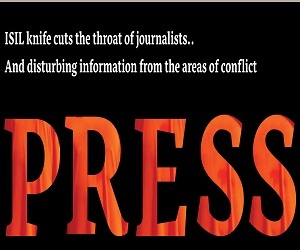 With intimidation comes the chill - all the stories that should make news, but do not get reported.